Sarah (her name changed to protect her identity) speaks on the phone inside the tent where she is living with her family in a refugee camp in northern Iraq. 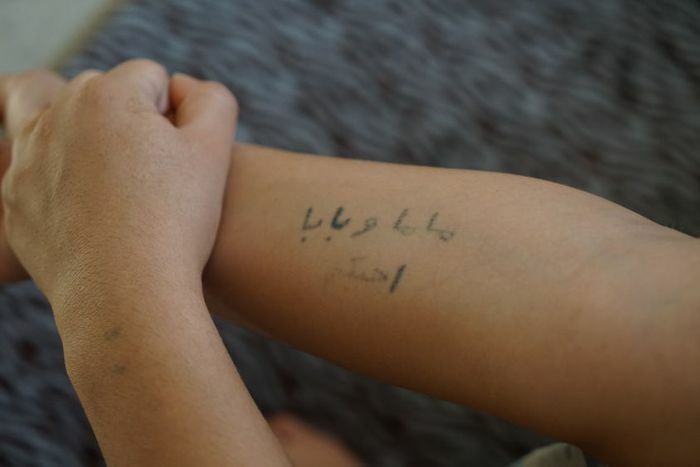 A tattoo on Sarah's arm (her name has been changed to protect her identity) which reads "Dad, Mum, Love" in Arabic. Sarah was captured by IS fighters and held in captivity for five month. While she was being held she found a needle and ink and tattooed the inscription on her arm. 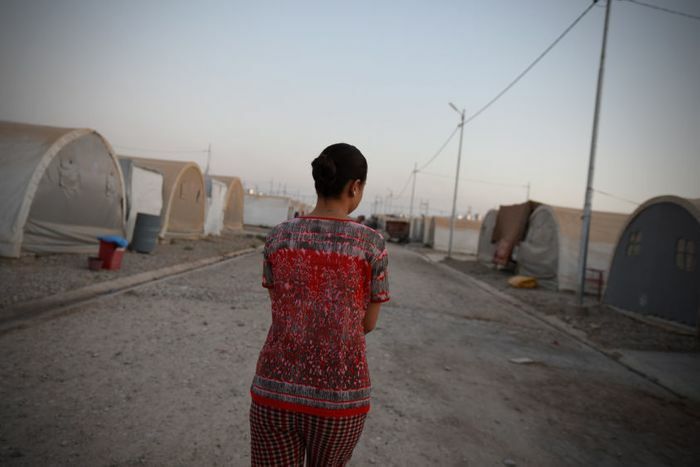 Sarah walks between tents in a refugee camp in northern Iraq where she is living with her parents. 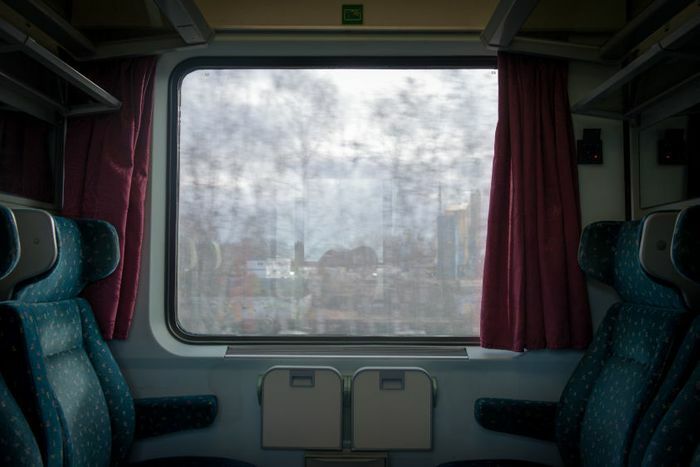 The inside of a compartment on a passenger train in Germany. 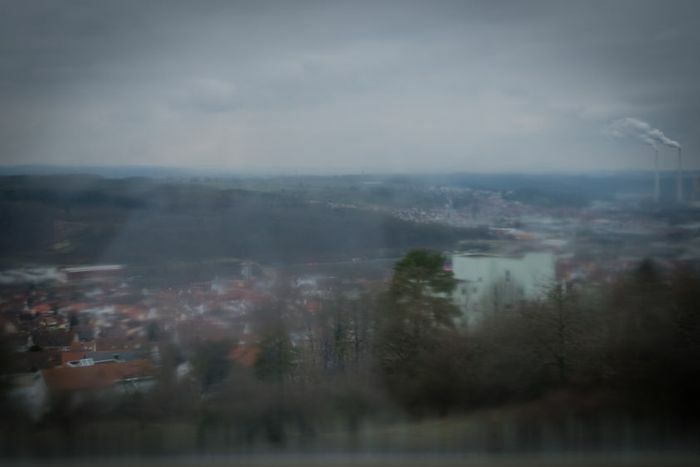 A general view of a town in Baden Wurttemberg where Sarah has moved after escaping from Islamic State captivity in Iraq. Sarah prepares breakfast in her room in an apartment in a German town where she moved after being released from Islamic State (IS) captivity in Iraq. The hands of Sarah. She is going to school in a German town where she moved after being released from Islamic State (IS) captivity in Iraq. There are a number of apartments in the German state of Baden Wurttemberg where women and children, who have escaped IS captivity are sheltered. She says "My dream is to become a police officer or an engineer." Her name isn't actually Sarah. For her own safety and for that of her family living in Iraq, her name can't be revealed. She is living in a safe house in Baden-Württemberg in Germany with other women and children who have escaped from IS. This is her story. "In the middle of the night of 3rd August 2014, I had a dream that my father was fighting somewhere. When I woke up at 3am, I heard gunshots. It wasn't a dream, the shots were real." 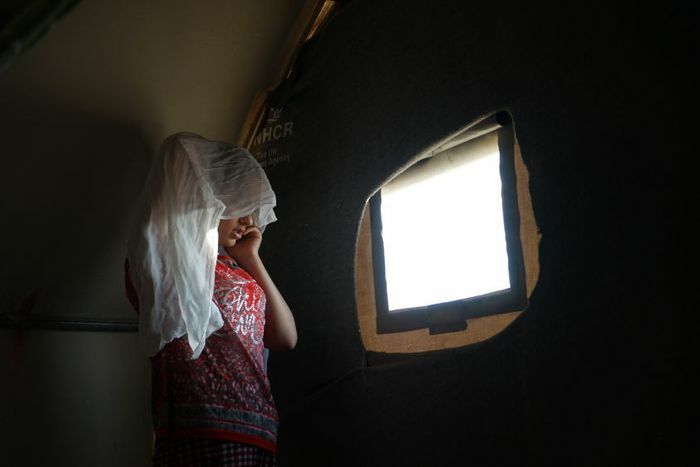 15-year-old Sarah, who is from Iraq's Yazidi minority was living with her family in northern Iraq when Islamic State forces swept across the region. On the night of her dream she ran barefoot with other members of her family toward the Sinjar Mountains, a traditional Yazidi place of refuge. On their way to the border the next day, Sarah was taken by IS fighters. From this point onwards, she was incessantly moved from one location to another within IS-held territory in Iraq and Syria. For the next 3 month, Sarah was repeatedly raped and physically and mentally abused by IS soldiers. Sarah tried to commit suicide several times during her captivity. In November 2014, Sarah used the mobile phone of one of their captors to call for help. They were finally able to escape - first to a people smuggler's house and then, on foot, toward lines held by Kurdish Peshmerga fighters who helped them. In November 2015, Sarah was able to make her way to Germany and is now living in sheltered accommodation. She is attending school from Monday to Friday and is learning German. Although life in Germany is very different from her life back in Iraq and she is struggling to adjust, she is feeling hopeful for her future, despite her horrific experiences. She hopes to be an engineer or policewoman one day.